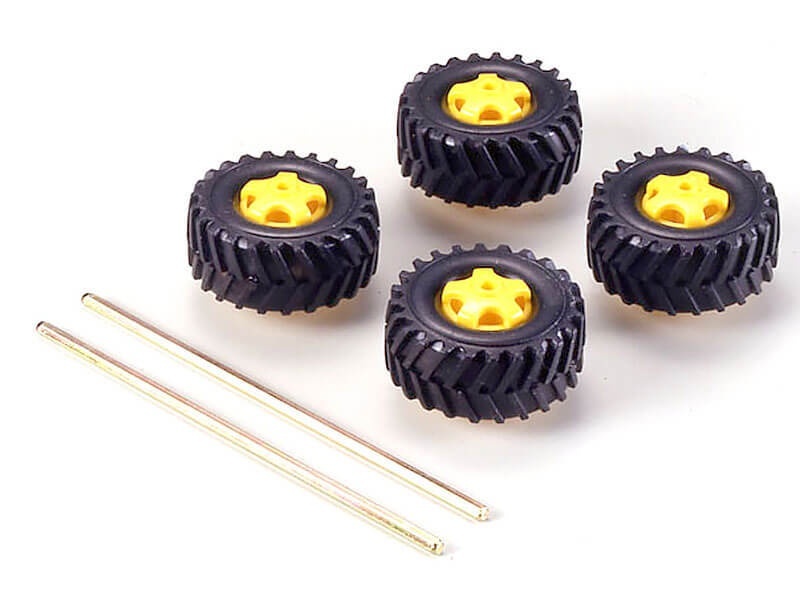 This set of four truck tires with wheels works well in Tamiya Construction and Robotics projects. The hex shaft inserts directly into the wheel with no tools. This tire set installs directly onto many of Tamiya's gearbox shafts.